3D printing is not as new as you may think! In 2009 when the FDM patents expired, 3D printing became such a hot topic that it was easy to believe it was a brand new innovation. And because it gained such a wide media coverage, people often imagined that FDM was the only additive manufacturing technique. In reality, the first 3D printing technique was SLA, not FDM, and its first patent was filed as early as the 1980s!! Intrigued already? Here is a quick timeline of the the history of 3D printing, from the 1980s to today, from the first machines to the great hopes and many applications that are now flourishing. The first 3D printing attempts are granted to Dr Kodama for his development of a rapid prototyping technique in 1980. He was the first to describe a layer by layer approach for manufacturing, creating an ancestor for SLA: a photosensitive resin was polymerised by an UV light.. Unfortunately, he did not file the patent requirement before the deadline. Four years later, a French team of engineers was interested by the stereolithography but abandoned due to a lack of business perspective. In the same time, Charles Hull was also interested in the technology and deposited a first patent for stereolithography (SLA) in 1986. He founded the 3D Systems Corporation and a year later, released the SLA-1. In 1988, at the University of Texas, Carl Deckard brought a patent for the SLS technology, another 3D printing technique in which powder grains are fused together locally by a laser. Over less than ten years, the three main technologies of 3D printing were patented and 3D printing was born! In Europe, EOS GmbH was founded and created the first EOS “Stereos” system for industrial prototyping and production applications of 3D printing. Its industrial quality is today recognized worldwide in SLS technology for plastics and metals. In 1992, the Fused Deposition Modeling patent was issued to Stratasys, who that developed many 3D printers for both professional and individuals. Arcam MCP technology and Selective Laser Melting. 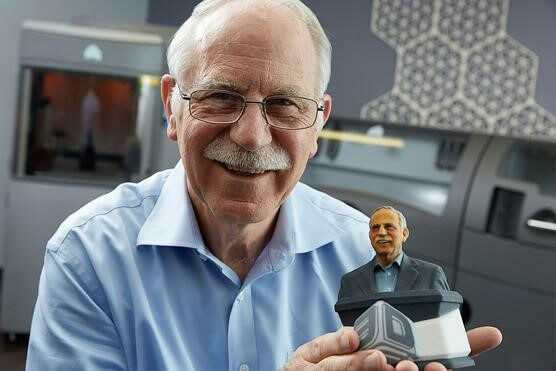 At the same time, CAD tools for 3D printing became more and more available and developed, with for example the creation of Sanders Prototype (now known as Solidscape), one of the first actors to develop specific tools for additive manufacturing. The 1990s were also the decade of the first application of 3D printing by medical researchers, who started to combine medicine and 3D printing, opening the path to many uses. Charles Hull was awarded the European Inventor Award in the Non-European countries category, by the European Patent Office Price in 2014. In 2000, the millennium saw the first 3D printed working kidney. We will have to wait 13 more years to see it transplanted into a patient. 3D printed kidneys are now perfectly working and researchers are experimenting on accelerated growth to transplant organs very rapidly. 2004 was the year of the initiating of the RepRap Project which consists in a self-replicating 3D printer. This open source project led to the spreading of the FDM 3D desktop 3D printers, and of the popularity of the technology in the makers community. In 2005, ZCorp launched the Spectrum Z510, the very first high-definition color 3D printer. In 2008, 3D printing reached an even greater media presence thanks to another medical application: the first 3D printed prosthetic limb. It incorporated all parts of a biological limb, was printed ‘as is’, without the need for any later assembly. Nowadays, combined with 3D scanning, medical prosthesis and orthosis are more and more cheaper and extremely fast to obtain. 2009 was the year in which the FDM patents fell into the public domain, opening the way to a wide wave of innovation in FDM 3D printers, a drop of the desktop 3D printers price, and consequently, since the technology was more accessible, an increased visibility. 2009 was also the year Sculpteo was created, one of the pioneer of the now flourishing online 3D printing services, another step toward 3D printing accessibility. 2005: Z Corp. launched Spectrum Z510. It was the first high-definition color 3D Printer on the market. The recent years have been very important for 3D Printing. With the FDM patent expiration, the first years of the decade have become the years of 3D printing. 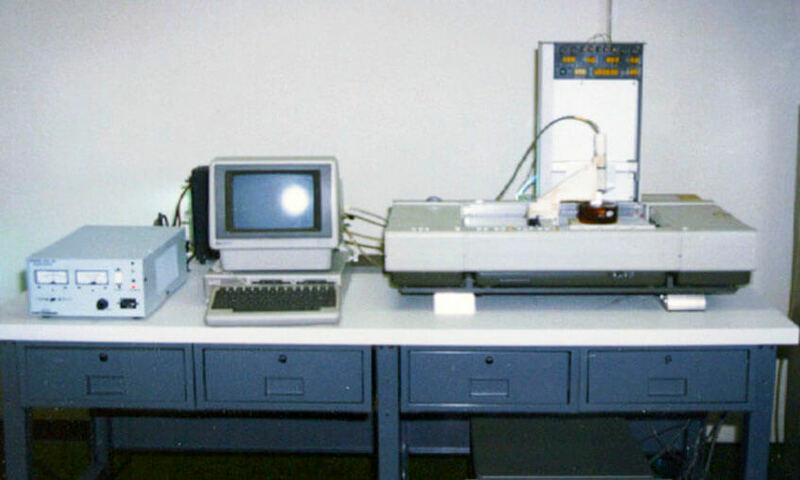 The desktop technology invaded the market and made the industrial sector rethink about additive manufacturing as a reliable production technique. The revolution additive manufacturing could bring in common consumption was written about extensively, and even though this total shift of consumption habits hasn’t happened yet, 3D printing is getting into common imaginations and practices. In 2013, President Barack Obama mentioned 3D printing as a major issue for the future in his State of the Union speech, which finished to make “3D printing” an absolute buzzword. It is now very present in the general public’s mind, and in policy makers’ decisions. The technology is forever progressing, just as are the uses of this technology. More and more small and big companies take advantage of the low prototyping price that 3D printing offers, and have fully integrated it in their iteration, innovation and production processes. In 2010, Urbee was the first 3D printed prototype car. Its body was fully 3D printed using a very large 3D printer. Now, the 3D printed car is much more a dream than a reality but in the manufacturing process, many actors are considering it as a good alternative to traditional methods. In 2011, Cornell University began to build a 3D food printer. At first sight, it could seem slightly trivial, but NASA is now researching how astronauts could 3D print food for in space. In 2014, NASA brought a 3D printer in space to make the first 3D printed object off of the earth. Many medical 3D printing advances: tissues, organs and low-cost prosthesis. New 3D printers are being issued regularly, they are more efficient, they print faster, they give access to new 3D printing materials,… A good example is the Carbon 3D CLIP technology, which we offer as a service on our platform since March 2016, and which 3D prints strong mechanical resins at an unequaled speed. New 3D printing materials are being explored every day, from Daniel Kelly’s lab who’s 3D printing bone to the French startup XtreeE, who’s 3D printing concrete to revolutionize the construction industry! At the same time, efforts are constantly made to make 3D printing more accessible, through education (see our ebook on how to Graduate in 3D printing), shared spaces like fablabs and makerspaces, and of course 3D printing services like ours. We’re constantly adding new materials to our catalogue, new repair and optimisation tools to make sure you 3D print exactly what you had in mind, and new ebooks and tutorials so you master the technology from design to finish. 2011: Cornell University began to build 3D food printer. 3D printing hasn’t reached its limits and many projects and amazing stories are waiting to be written. We already imagine this future in our article on the innovations to come in 3D printing and the top 10 materials 3D printing materials of the future that already exist! With our new laser cutting service, we unveiled the “Factory of the future”, Digital Manufacturing: See our infographics on Digital Manufacturing, our article on Digital Manufacturing and Agile Manufacturing, and the article of our CEO Clément Moreau on Digital Manufacturing. Read on, and stay curious!